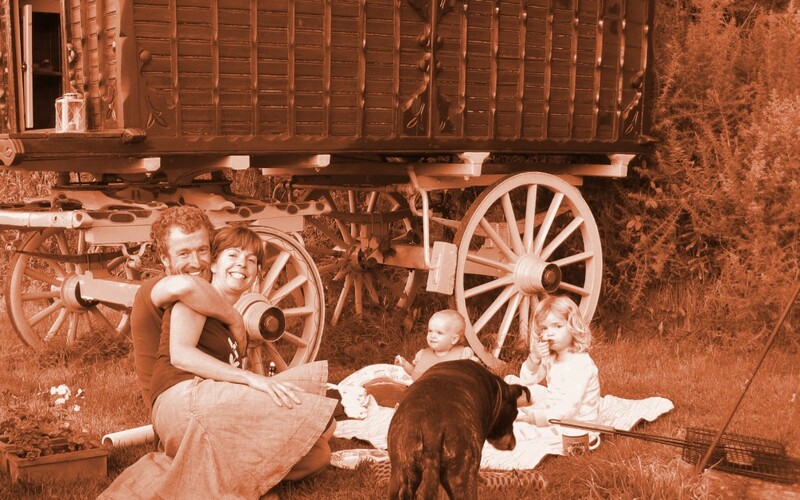 The Gypsy Cwtch is an original 19th century Romany waggon that has been lovingly restored to offer guests something totally unique when it comes to glamping. 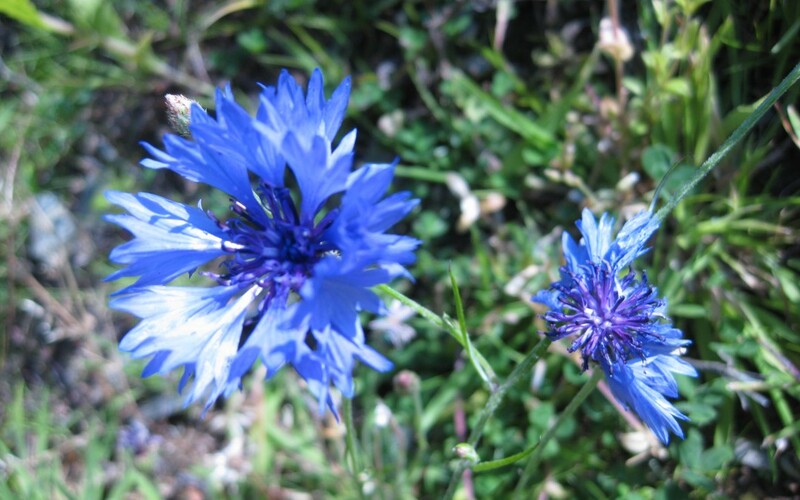 It sits at the top of a valley side on an organic smallholding in West Wales, close to hills, rivers and beaches, surrounded by woodland and magnificent views. The quiet chatter of nature is overwhelming and the dawn chorus gently rouses you in the morning. The location faces west, to enjoy magnificent sunsets and wide open starry skies once it’s dark. The gypsy wagon features all the charms of old Romany life with a few modern comforts, to make your stay truly relaxing and also nostalgic. The comfortable king-size width double bed aids a restful nights sleep and you’ll find little additions to make life simpler and easier. A cute cabin sits alongside the wagon, to serve practical needs including a bathroom, kitchen area and sofa. All this loveliness doesn’t have to be just for two, we welcome dogs and there’s even a cosy space for a small child. I would just like to thank you for an absolutely fantastic weekend, one that both of us will remember for a long time. I know that Josie shed a tear of joy when she first saw the caravan and we both shed a few of sadness when we had to leave such a wonderful place. We definitely hope to visit again. Just a quick note to say how much we enjoyed our short stay at Gypsy Cwtch . . . . . despite the weather! 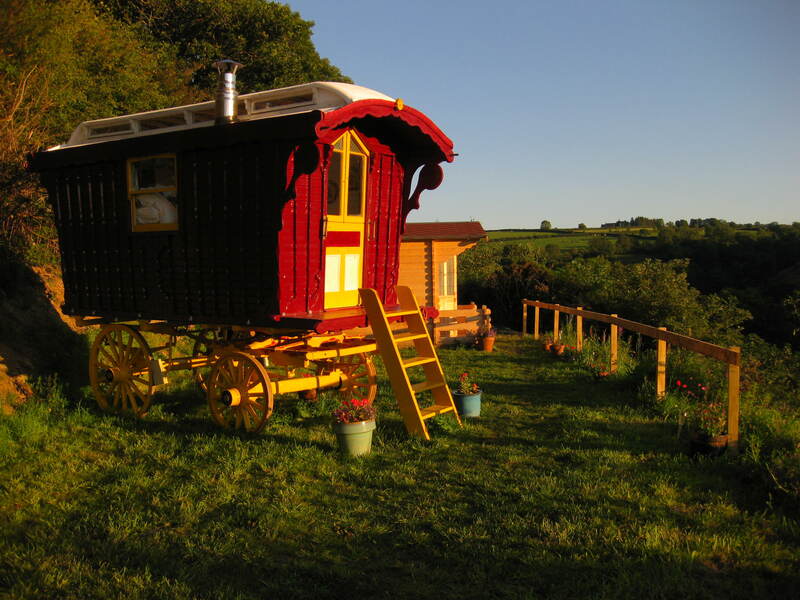 The Gypsy Cwtch is off-grid and in a spectacular location. We chose to make it as green as possible because we believe in better alternatives than just the norm. Thanks again for a lovely stay, was absolutely perfect and I’m sure we’ll be coming back again!